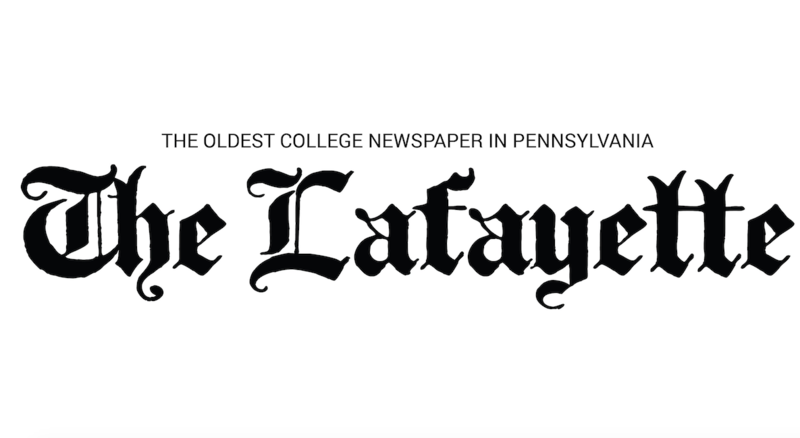 The Lafayette men’s soccer team dropped their last game of the season against Loyola, falling 1-0 this past Saturday, Nov. 3. Although the team put together a hard-fought effort for the remainder of the game, the deciding goal occurred just 35 seconds into the match. Despite the early deficit, the Leopards tried to strike back less than a minute later, as sophomore defender Andrew Venezia drove a corner kick to fellow defender and senior Joe DeStefano, who put a header on goal. Lafayette managed two more shots on goal in the first half, which were both turned away by the Loyola goalkeeper. The second half was mainly played on Lafayette’s side of the field. No shots were made by the Leopards until the 83rd minute, when sophomore Adam Bramson connected off of a corner kick. Although the game ended unfavorably for the home team, freshman goalie Alex Sutton had a remarkable game, notching six saves to match his season-high. The team was outshot by Loyola, with the Greyhounds putting seven tries on goal compared to the Leopards’ four shots. 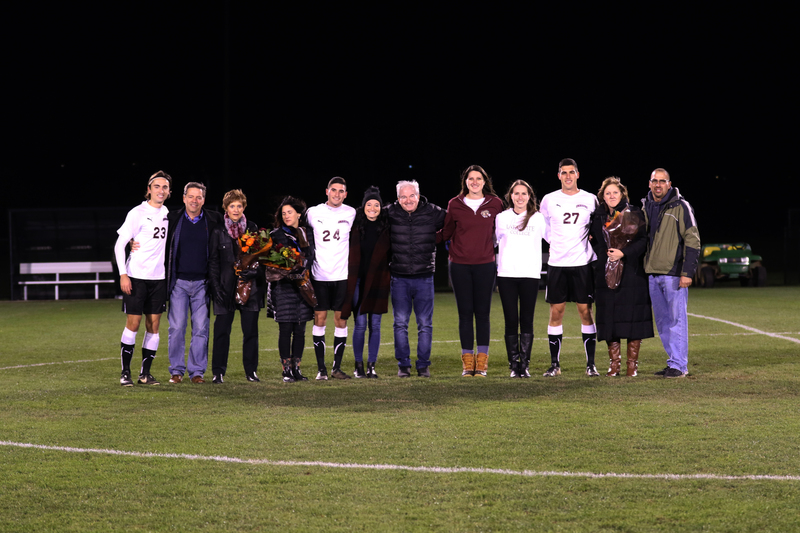 For seniors DeStefano, Josh Koval, and Josh Kruczek, this was their last collegiate game of their soccer careers. The three were honored during a pre-game ceremony and head coach Dennis Bohn praised the trio for their commitment to the program and mentorship of the younger players. DeStefano played every minute of the game and ends his season playing a total of 1,530 minutes on the field. Throughout all four years, he has been consistently been a confident competitor and leader on defense, according to Bohn. After the game, DeStefano spoke highly of his time with the soccer program. Kruczek, a forward, played one of his best games this season, putting pressure on the opposing defense and nearly converting on a cross that was grabbed by the Loyola keeper. He finishes the season with 395 minutes played, appearing in 16 games with one start. Koval, a defender, played 88 minutes against Loyola. Koval started four games over this past season and finishes with 376 minutes of playing time. All three seniors received significant playing opportunities in their final appearances, as the team failed to qualify for the upcoming Patriot League tournament. Despite their collegiate careers coming to a close, the seniors’ leadership will be not be forgotten.